I'm Konrad, although most likely you know me as Athlon. I started to learn to programme when I was around 10 years old and damn - it freaking escalated quickly! So anyway, I made my first ever video game - simple platformer. I started to learn some HTML then Visual Basic, I've joined VMT, I've started to learn C#, then using Linux, Java, Gimp, Premiere and much more. And that's how I ended up here! The iCloud web-based client for Windows. I've started working on MSC OGG Converter for personal use, but I figured out "why not release it"? You can find more info on project's repo at GiLab. This tool has been designed especially for F1 Challenge '99-'02 Virtual Modding Team mods in mind. Contains all the necessary tools to maintain the game and much more. 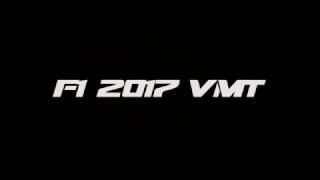 Trailer of F1 2017 VMT - the F1 Challenge '99-'02 mod. A younger cousin of VMT Engine, but designed for all the games. This small tool allowed Old Spice F1 Challenge League to update & download drivers' helmet textures. I took a part in creating of 4 VMT mods from 2014 to 2016 (and unreleased at this moment 2017 mod). I've created F1 2014 VMT, F1 2014 VMT - F1 2002 Edition, F1 2015 VMT, F1 2016 VMT, and I also created F1CH-WORLD League, which I've been running 3 seasons, and the League finished after 5 seasons. My first ever real project made in 2012 made with a little help of my dad. This is the first game I've ever created. It's bugged. It's ugly. But you gotta start somewhere!